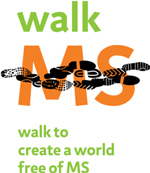 In a few weeks (Sunday, May 3rd 2009), Megan and I are going to be participating in the 2009 MS Walk in Madison, WI. I’m blogging to ask you all for a donation (of any size) to help in the fight against Multiple Sclerosis. Last year, with your help, we raised: $2500.00. Not bad for our first year. So please help us achieve this goal by making a tax-deductible donation to the National Multiple Sclerosis Society! Any amount will help. Give $1, $5, $10, $20. Every dollar counts. Attempted reconnect 3 times. Giving up. I'm guessing there might be a mismatch between the mysql.db and mysql.user table that is causing the confusion. I have a workaround, but I really want to know what's going on inside MySQL's brain. For those interested, here's the simple workaround.